When you choose a Cadillac as your family vehicle, you are choosing a brand that emphasizes class, elegance, and sturdy workmanship. That is why you need an auto mechanic to match: someone who really gets Cadillac and how it works, and who can provide you with fantastic auto repair in the Kent and Des Moines area, and if you haven’t heard of Premier Automotive Services, then we are here to say your search is over! 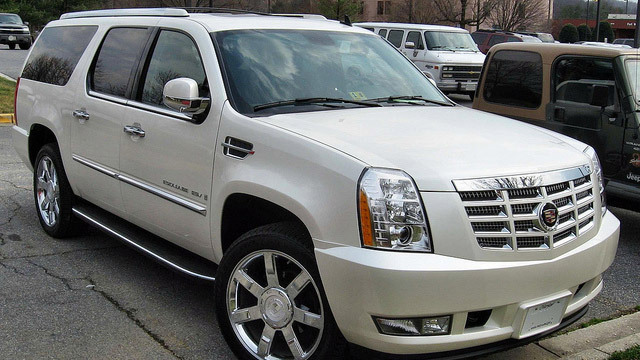 Cadillac vehicles are really the epitome of luxury! There is a reason why people say “This is really the Cadillac of this or that,” because Cadillac is synonymous with class and high standards. You got the Cadillac….now bring your car to the Cadillac of auto repair in areas around Kent and Des Moines communities. At Premier Automotive Services, you will get so much more than just auto repair for your Cadillac! We will always be upfront and honest with you about the kinds of auto repair that your Cadillac needs and our ASE-Certified auto mechanics will work with you to figure out the best auto repair maintenance for your Cadillac. “Prompt, accommodating, respectful and knowledgeable. Sometimes the upsell is obvious but not overdone and that's part of being in business. They will give you a priority list if you need several services so you can work it in your budget. I trust them.” -- Maurice L.